When we pee in public then flip off photos of national leaders, the only phone call we receive is from the public defender's office. When Justin Bieber pees in a bucket in a restaurant and cusses out a photo of former president Bill Clinton, he gets a phone call from, you know, Bill Clinton. According to E! News, Clinton called up the Biebs after hearing about the pop star's disrespectful meltdown and gave the kid a piece of his mind. 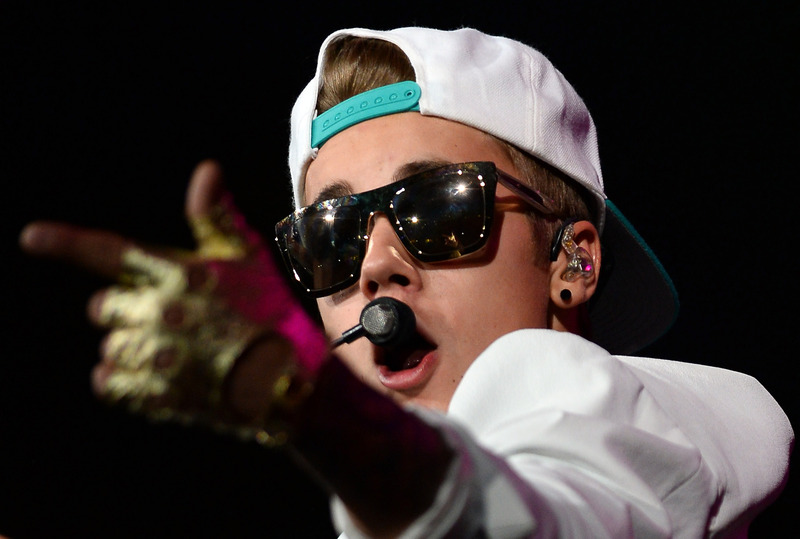 Clinton allegedly told Bieber: "If that is the worst thing you have ever done, all is well." No word whether Slick Willy squinted his eyes, bit is bottom lip, and held his thumb in his fist while lecturing the 19-year-old pop star, but one can only hope. You'd think Clinton might have instructed Bieber on the beauty of denial, but instead, the two seemed to have reached an understanding. It's too bad, though. We would've loved to have seen Bieber look into a camera and say, "I did not have a urination relationship with that bucket, Mr. Bucket ... "